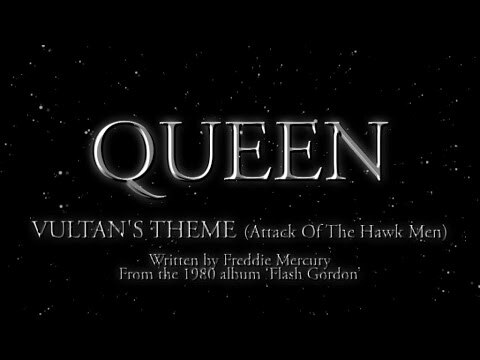 ← Queen – Flash To The Rescue. Publicat pe 20 august 2015	de Cristi M.
Freddie Mercury, 5 September 1946 – 24 November 1991 was a British singer, songwriter and producer, best known as the lead vocalist and lyricist of the rock band Queen. As a performer, he was known for his flamboyant stage persona and powerful vocals over a four-octave range.As a songwriter, he composed many hits for Queen, including „Bohemian Rhapsody,” „Killer Queen,” „Somebody to Love,” „Don’t Stop Me Now,” „Crazy Little Thing Called Love,” and „We Are the Champions.” Mercury also led a solo career, and also occasionally served as a producer and guest musician (piano or vocals) for other artists. Mercury was a Parsi born in the Sultanate of Zanzibar and grew up there and in India until his mid-teens. He died ofbronchopneumonia brought on by AIDS on 24 November 1991, one day after publicly acknowledging he had the disease. Posthumously, in 1992 he was awarded the Brit Award for Outstanding Contribution to British Music, and the Freddie Mercury Tribute Concert was held at Wembley Stadium, London. As a member of Queen, he was inducted into the Rock and Roll Hall of Fame in 2001, the Songwriters Hall of Fame in 2003, the UK Music Hall of Fame in 2004, and the band received a star on theHollywood Walk of Fame in 2002. Also in 2002, Mercury was placed at number 58 in the BBC’s poll of the 100 Greatest Britons.